UPDATE Video and live tweets! 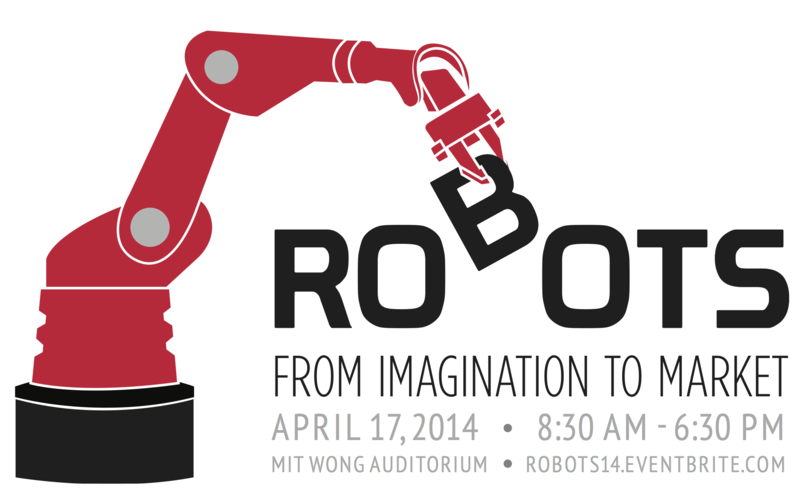 Join us for a full day seminar and networking event at MIT on April 17 called “ROBOTS: From Imagination to Market”. Starting with an introduction to robots in science fiction, we will dive into the latest research, hear the newest startup pitches and learn from successful companies. Additional highlights will include live robot demos, an overview of legal and ethical questions, and a panel discussion with key actors in the field. The event is organized by Swissnex Boston, Robohub, and Swisslink in collaboration with the Martin Trust Center for MIT Entrepreneurship. You can find the program below, let us know if you have a robot demo or startup pitch (email shauert@mit.edu). We’ll be covering the seminar live on Robohub, so make sure to tune-in on April 17. How to go from imagination to market?